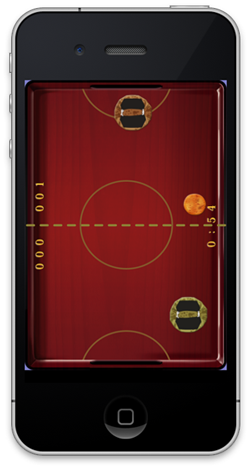 iPhone application “Exciting Air hockey”. - AMUZENET, Inc.
Rice Cracker Hockey is like a fighting sport on a tray! 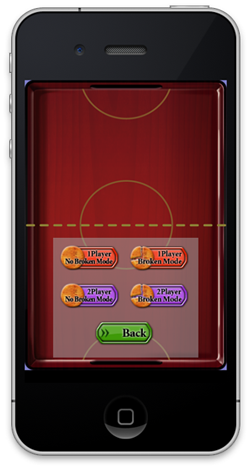 - Score as many points as possible in one minute. - Tap the screen three times to pose. - A rice cracker is cracking little by little and broken at last. 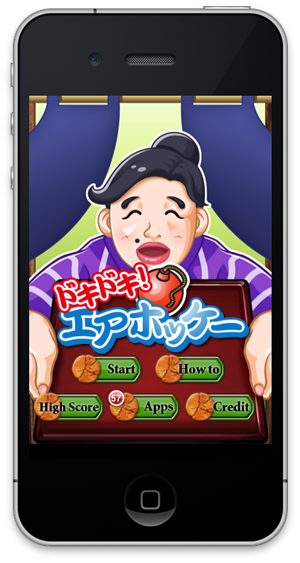 - If a rice cracker is broken in your court, an opponent will get a point. 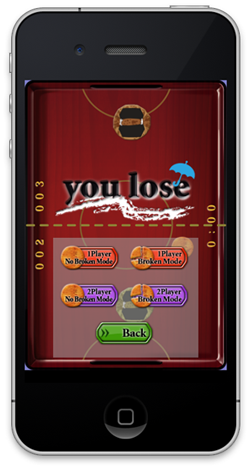 - Submit your score in one game to the online ranking.